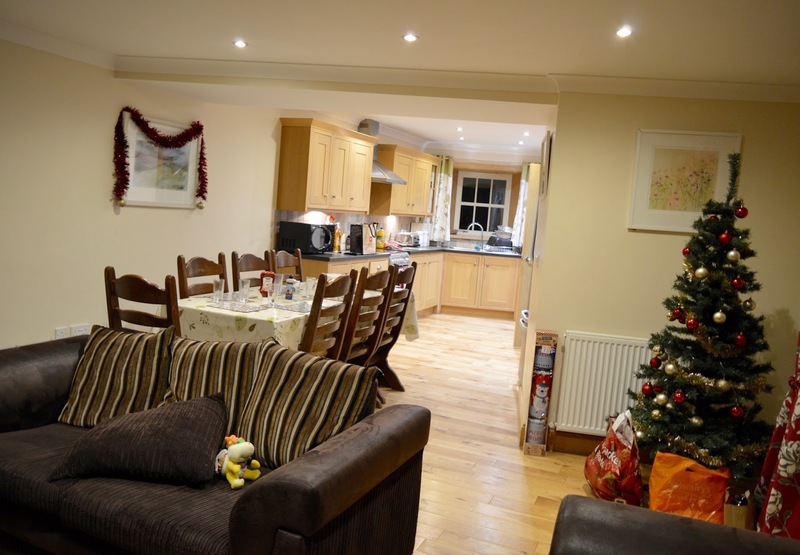 It's always been a dream of mine to spend Christmas in a cosy cottage with the family. I blame watching Cameron Diaz in The Holiday every year for fuelling my desire. In my head, I pictured it would be real log fires, family walks and big feasts on a table. As close as you could get to a perfect Christmas. 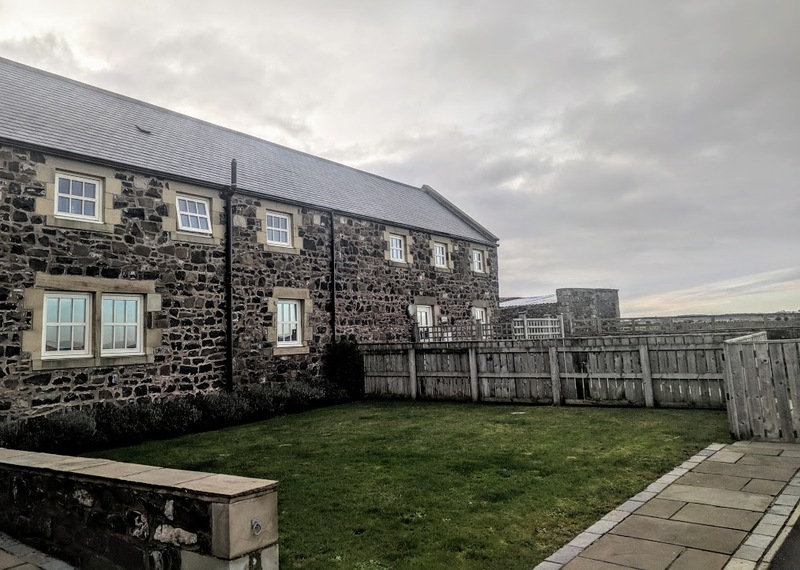 So way back in December 2016 I decided to put our dream into reality and paid a deposit to reserve High Hemmel House near Embleton with Sykes Cottages for Christmas 2017. 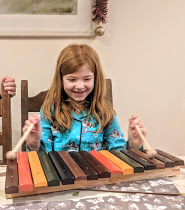 Yes - Christmas in a Cottage has been over a year in the planning! We decided to choose a cottage in Northumberland as we never know what Steve's going to be working over Christmas until the beginning of December. If it came down to it, he was going to commute if needed. Luckily though, he managed to get the full week off so driving to work was something we didn't need to worry about. I wanted to invite some of our family to stay with us and I knew I wanted a hot tub to make the stay a little bit more special. 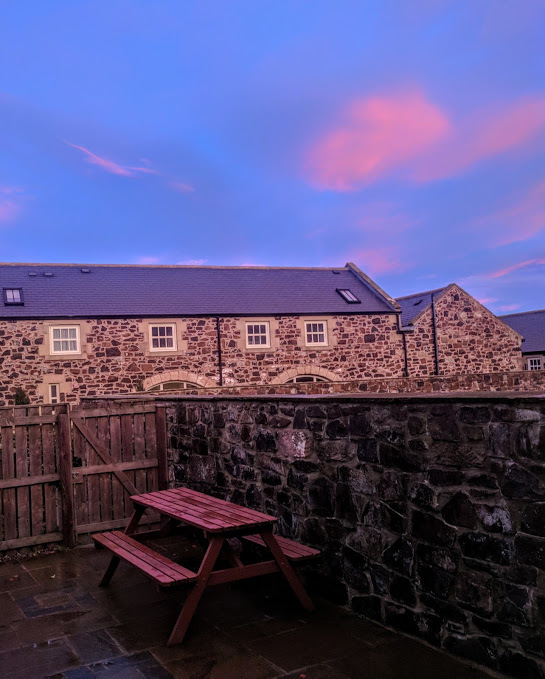 I also knew I wanted to book with Sykes Holiday Cottages as I've booked through them a couple of times before and have always been impressed - the last thing you need when booking a bucket list stay like this is for things to go wrong so I think booking with a reputable company like Sykes Holiday Cottages is a must. In the end we settled for High Hemmel House near Embleton. 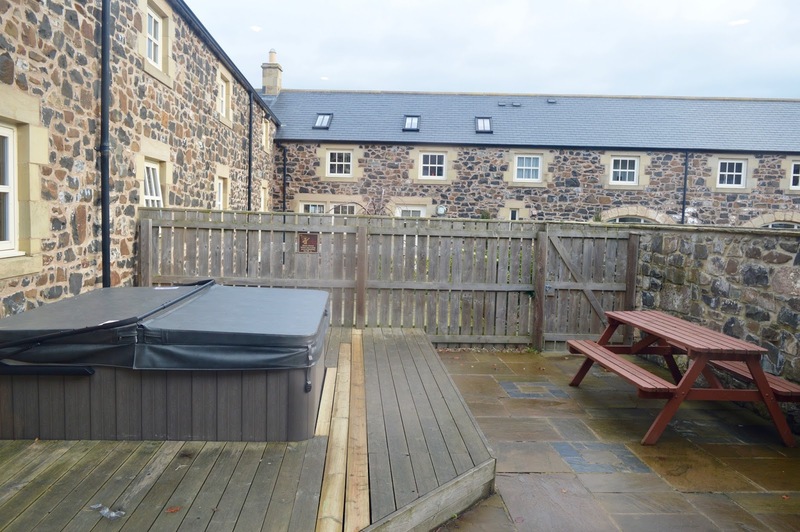 I liked that it had four spacious bedrooms, a huge dining table, an outdoor hot tub, coastal views and the beach, a pub and a shop were all within walking distance. It ticked all of my boxes and more. 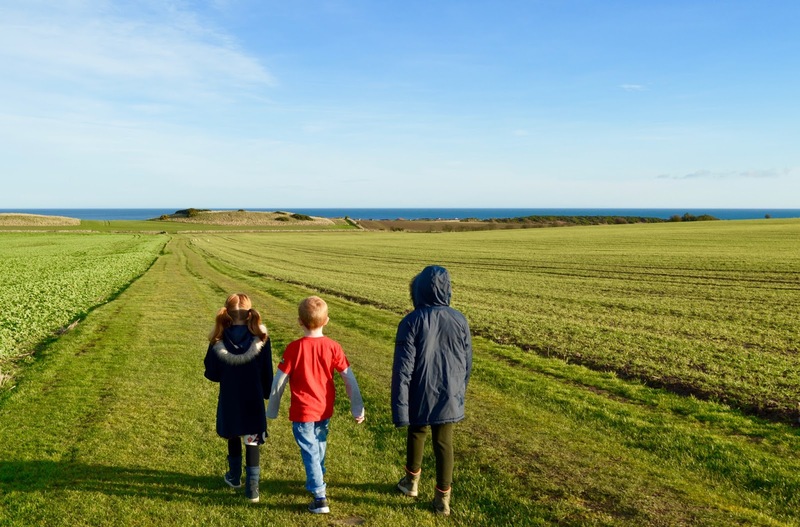 We collected our children from school when they finished on Friday and travelled for 40 minutes up the A1 to Embleton. Comprehensive self-check-in instructions had been sent prior to our arrival as well as important details such as which supermarkets deliver to the cottage and events in the local area. 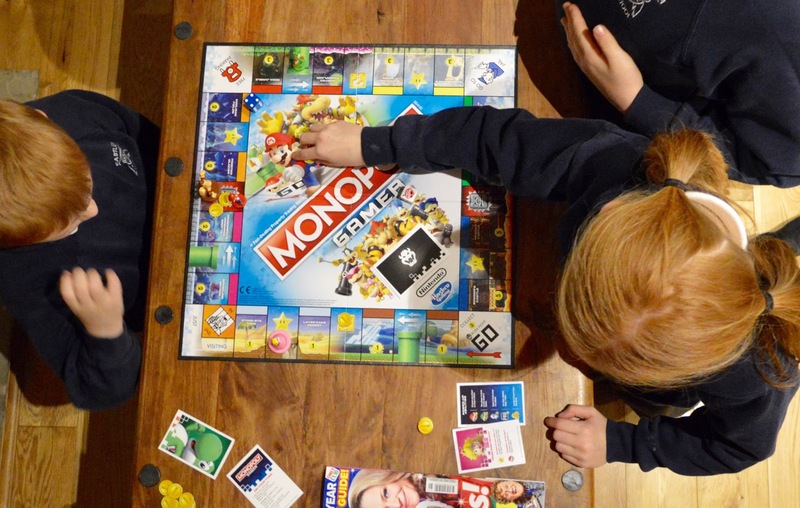 It also happened to be Jack's birthday on 22nd so the kids settled down to play his new birthday game (Monopoly Gamer - 100% recommend) whilst Steve and I unpacked. I was so impressed with how spacious the cottage was - there was plenty of room for us and more. 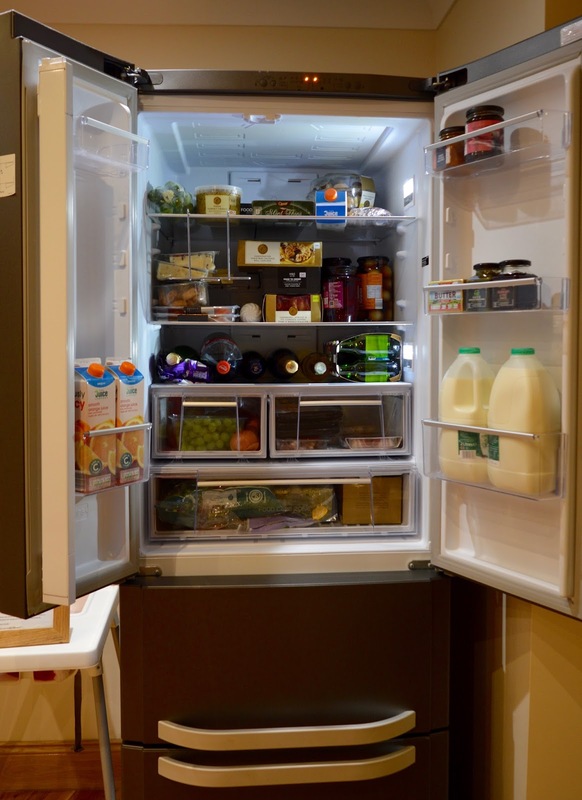 The American-style fridge was perfect and we didn't have food overflowing onto the benches which normally happens at this time of year at home. 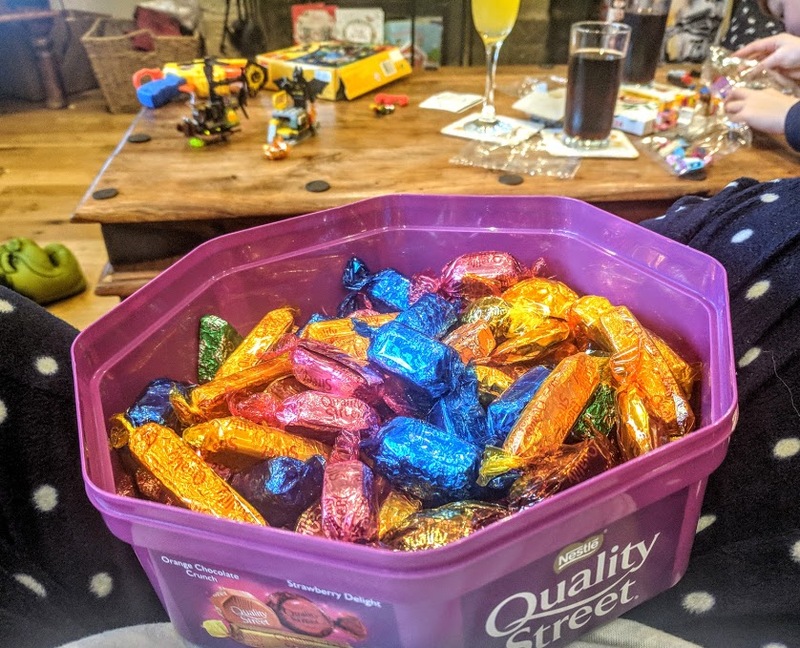 The cottage had been decorated for Christmas and even had it's own tree and I loved the seasonal welcome treats waiting for us on arrival including a tub of Quality Streets, turkey foil, mulled wine sweets and a bottle of non-alcoholic wine. A lovely touch I thought! 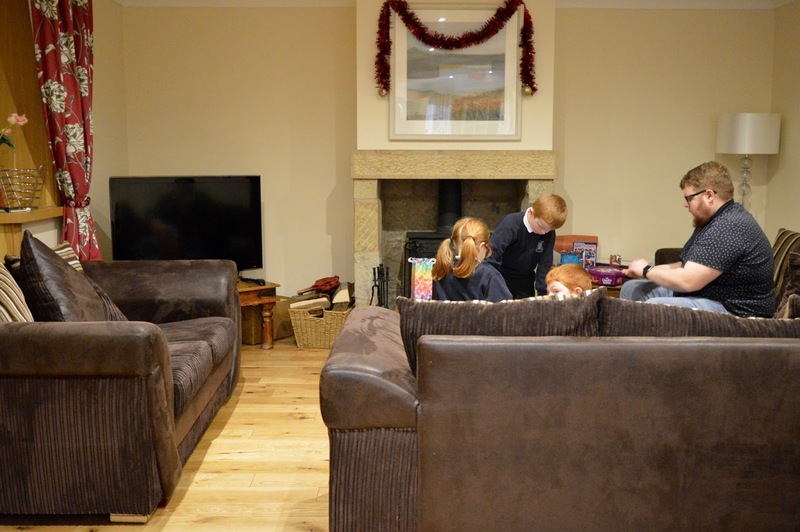 The layout of the cottage was perfect for us - open plan living and dining with french doors onto the patio with a hot tub is perfect for family time. 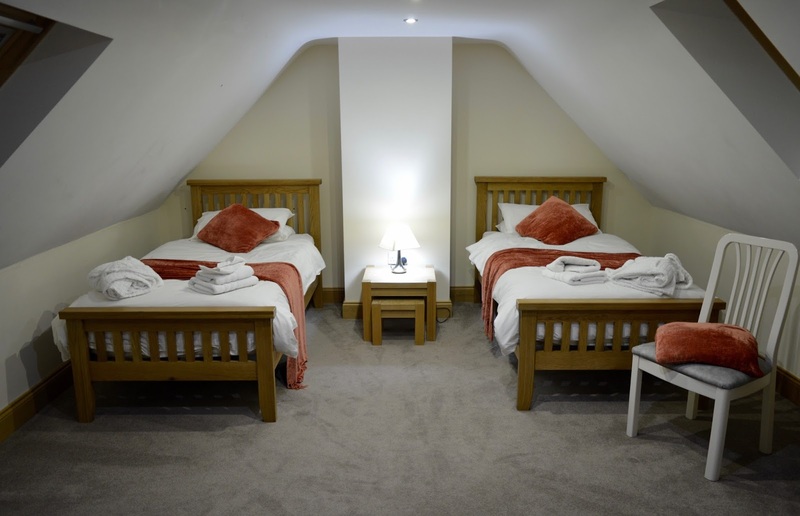 There's a double bedroom downstairs and a family bathroom too. Steve and I nabbed this one and the kids took over upstairs where there are a further three bedrooms and two bathrooms. It was nice for them to have their own space when needed. 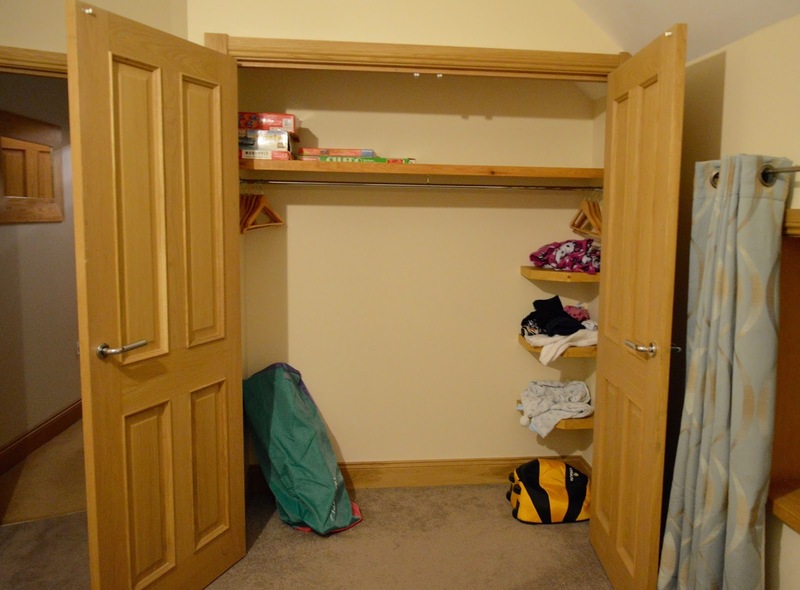 If you're staying with elderly relatives, the downstairs bedroom and bathroom would be ideal for them. High Hemmel House is very well designed for multi-generation stays I think. 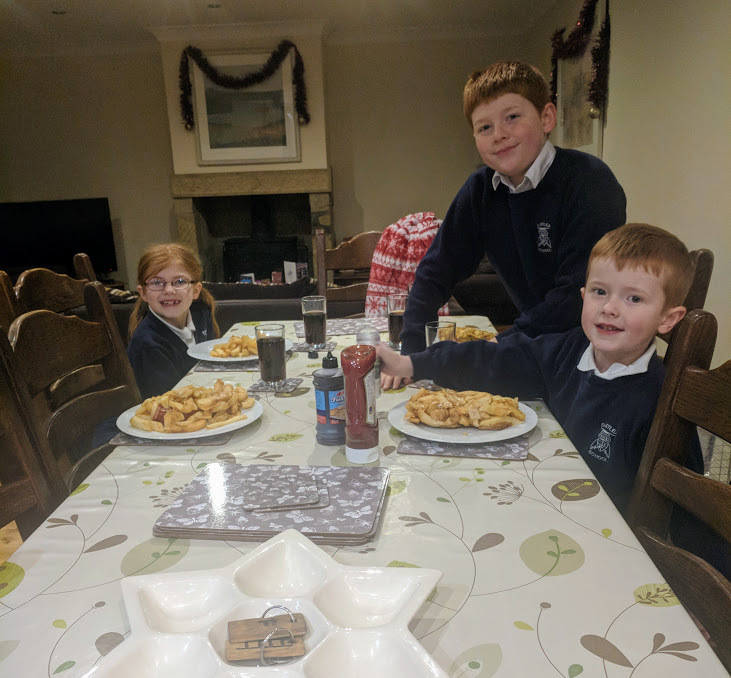 Jack asked for fish and chips as his birthday treat and there's no better place for fish and chips than Seahouses. Just a short drive from the cottage, we headed over once we'd unpacked. 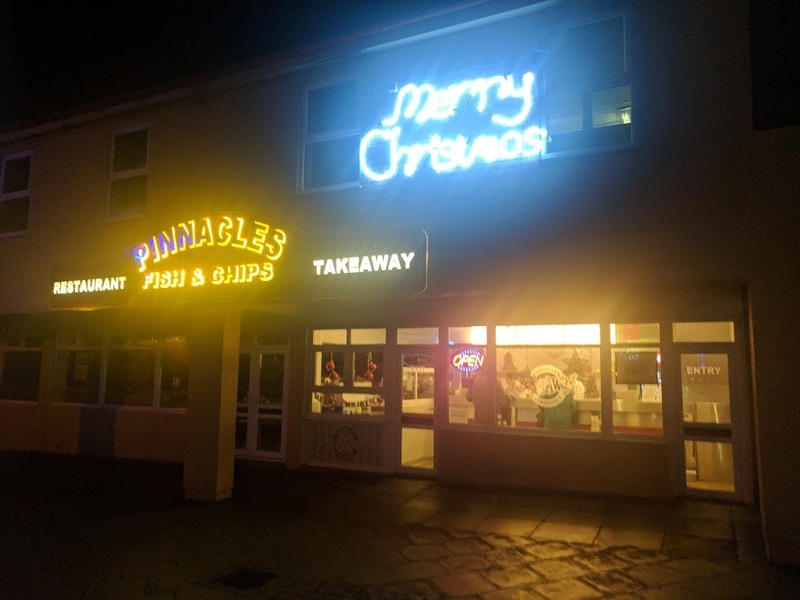 Pinnacles is our go-to place at Seahouses and we had wanted to dine in so were disappointed to see that the restaurant was closed. I guess this is what happens to coastal towns in the colder months. 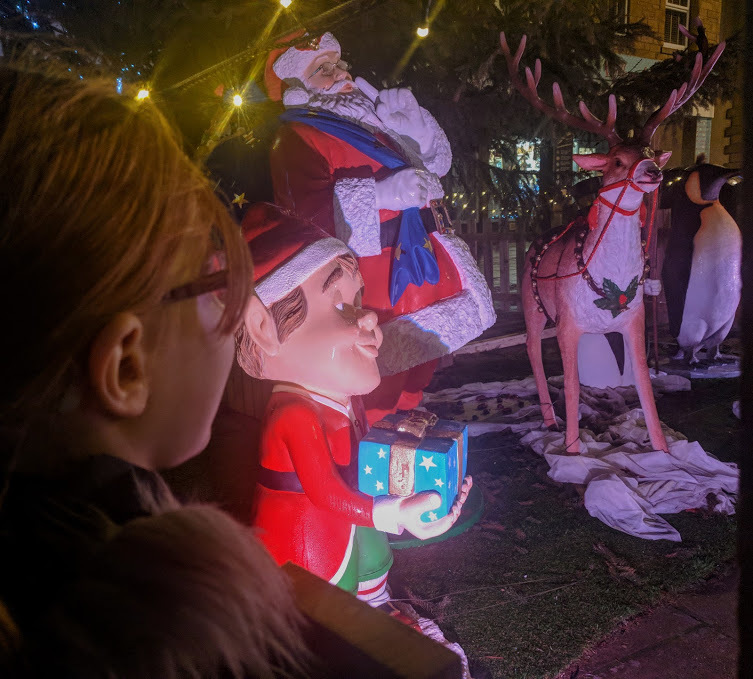 All was not lost though and Steve ordered a fish supper for us to take away whilst we admired the Christmas decorations and lights dotted about the streets - very pretty. We also spotted a poster advertising a free fireworks display at Seahouses on Christmas Eve. Back at the cottage and our fish and chips tasted SO good. Travelling home from Seahouses with the bag sitting on my knee had certainly built up my appetite. Why do fish and chips taste better at the coast?? We let our dinners settle and then it was straight in the hot tub. The rules do say no children under 18 should use the hot tub but what can I say - we're rule breakers! We supervised them and it was fine. Chilling out in a hot tub with the kids is definitely not what I'd call relaxing though. They were very over-excited so I'd describe our hot tub use as fun rather than relaxing! One thing we did love was just how dark the skies were. It was difficult to make out the big dipper as there were just so many stars in the sky. Harry and Steve swear they spotted a shooting star too. Sitting in hot tub and admiring the stars with the family is definitely one of those magical memories I had hoped for. We woke on 23 December after a restful night's sleep to the most beautiful day. It was nice and mild with bright blue skies and temperatures of around 10 degrees. After breakfast I bundled the family outside for us to do some exploring. 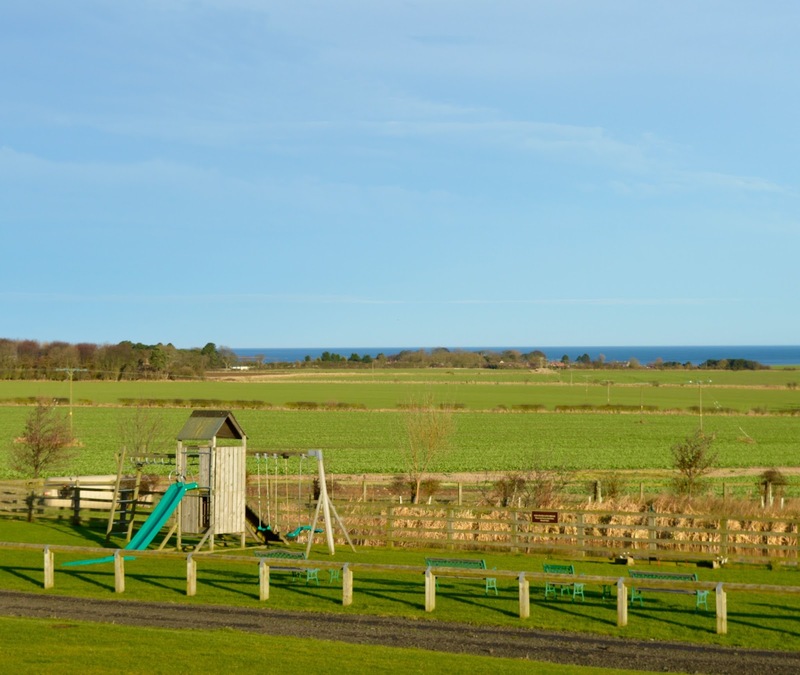 High Hemmel House is part of North Farm Cottages - a small complex with some fantastic facilities. Inside our welcome pack there were trails to take around the site, animal spotting sheets and details of where to find an insect hotel. 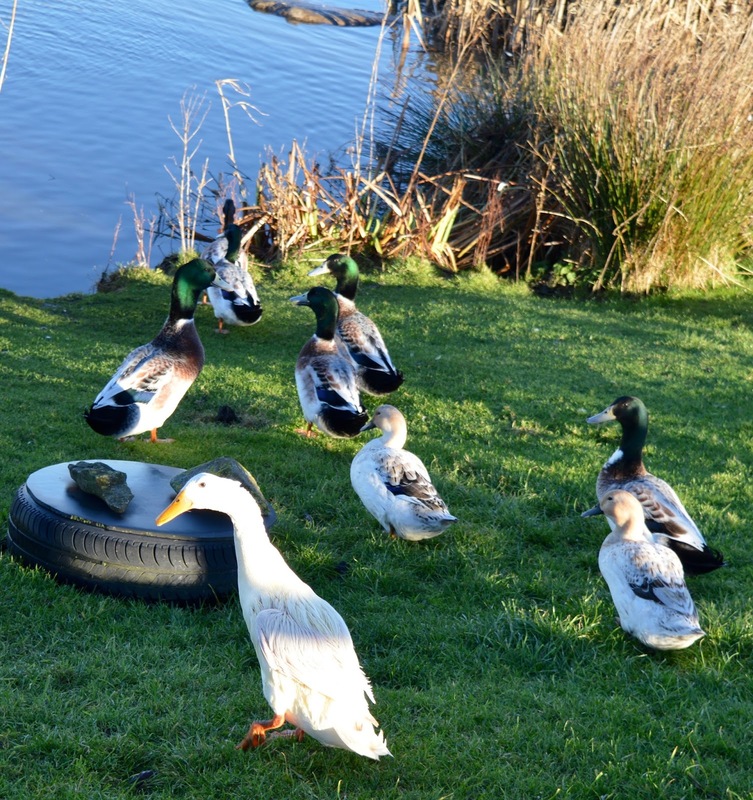 There are chickens, horses and some very friendly ducks at the duck pond. There's a park for children and a big football pitch too. I imagine this would be perfect in the warmer months. 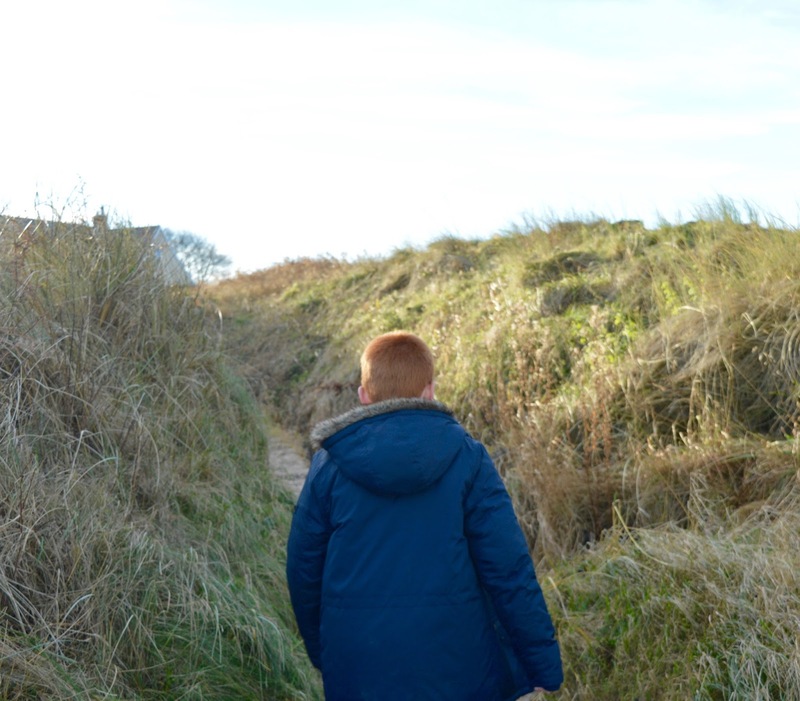 I remember reading that the beach was a 1 mile walk away and we could see the sea from our cottage so I decided we'd venture down. 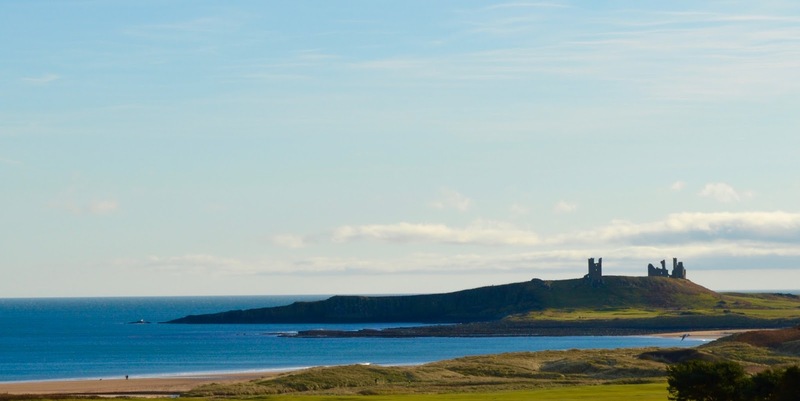 The views of Dunstanburgh Castle and the coast line are absolutely stunning. We had guests arriving in the afternoon and in my head, I imagined it would take around 10 minutes to get to the beach and we'd maybe have time for a quick drink at The Ship Inn which is right by the sea however in reality, it took us around 25 minutes to get to the beach from our cottage door. The walk was very well signposted, not at all strenuous and there's no chance of getting lost but it kind of reminded us of We're Going On A Bear Hunt as we crossed through fields of geese, across a very muddy farmer's field, tip toed across Embleton Golf Course, walked around a reservoir and bird hide and finally through some woodland before the beach appeared. By this point the kids started moaning at me that my 10 minute walk had turned into some kind of epic adventure. As soon as we arrived at the beach I received a text from Steve's sister to say they were around 30 minutes away so I took a few photos and then we turned back. The kids were not happy that we'd walked all that way for a couple of photos! haha! I tell them we'll look back on this day and smile fondly but they have yet to see the funny side. I think it was SO worth the walk for this photo though. What a stunning beach. If I had my time again, I'd plan a full half day to visit the beach and The Ship Inn rather than thinking it would be a quick half hour thing. 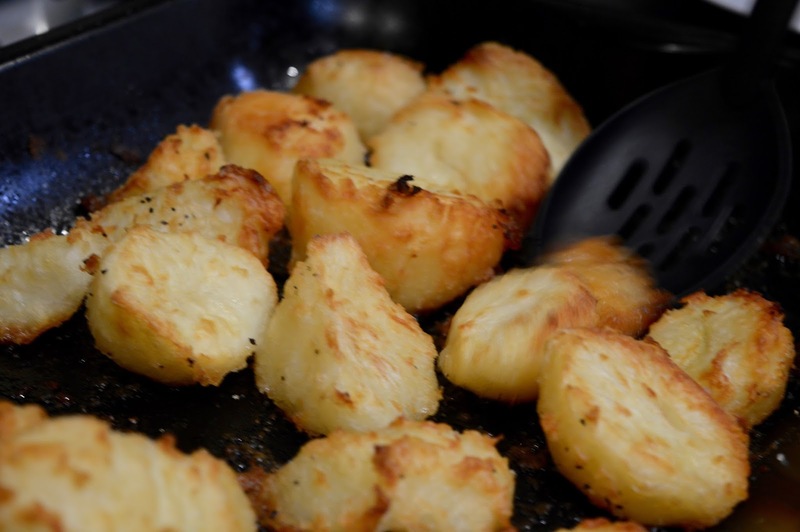 All was forgiven as Steve's family were waiting for us back at the cottage and we had the best afternoon enjoying a huge family buffet of which the highlight was Marks and Spencer Cornish Cruncher Cheese Bake with Cider, if you've not tried this you need it in your life! You won't regret it. 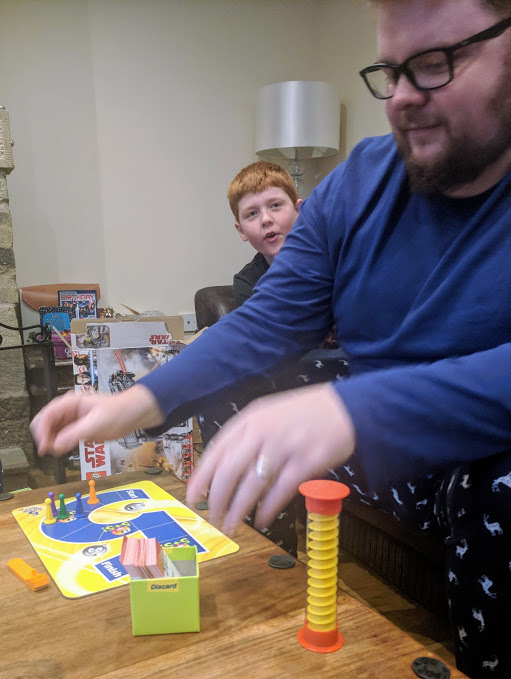 We played Five Second Rule Junior which is a fab game to play with all ages - I still can't believe the question that stumped me was 'Name 3 celebrities!! ', we snuggled up on the sofa to watch Harry Potter and the kids played in the hot tub again. 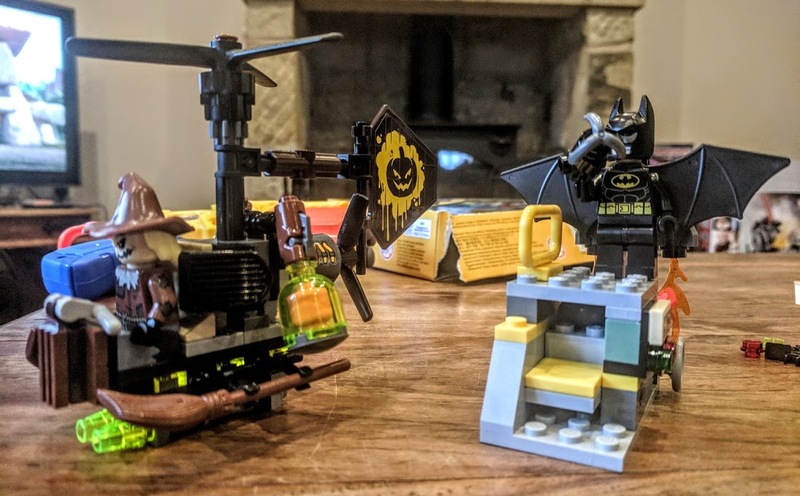 It was a perfect family afternoon and exactly what I had in mind. Christmas Eve - the best day of the year I think and this is when the cottage really came into it's own. If we were at home I just know we'd spend the day running errands, tidying the house, visiting relatives and I'd probably not be able to resist the pull of my laptop as I sat on the sofa either. The kids would spend a big proportion of their day in their bedroom and no doubt the X Box would be on too. Staying in a cottage really forced us to forget about this and just focus on spending quality time together. 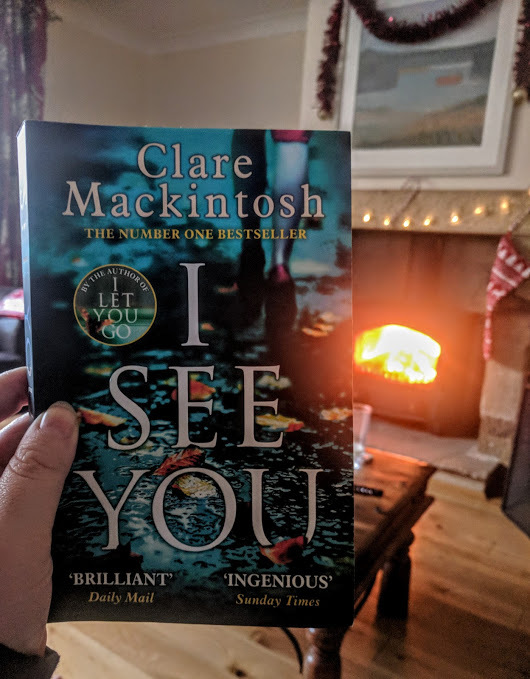 I think we watched around 10 films altogether over our stay - something that just wouldn't happen at home and I read a full book which is something that only happens when I'm on holiday. It's fair to say that maximum relaxation was definitely achieved. I normally leave the fire building to Steve but I decided to give it a go myself and was so chuffed when it worked. 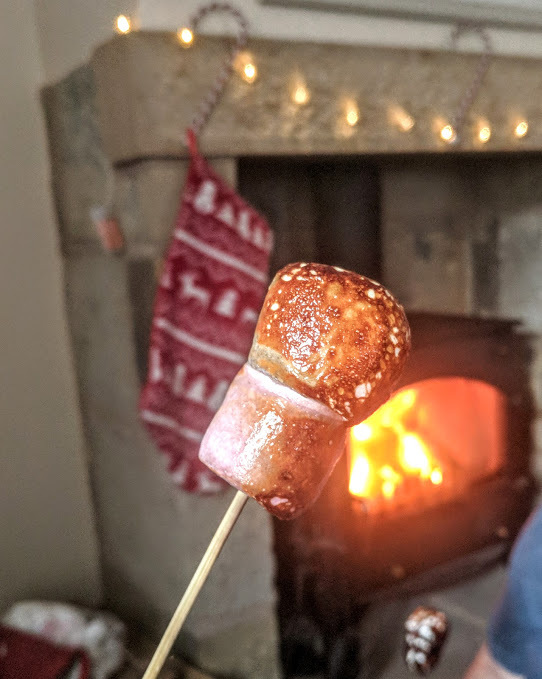 Toasted marshmallows on Christmas Eve may have to be a new tradition! 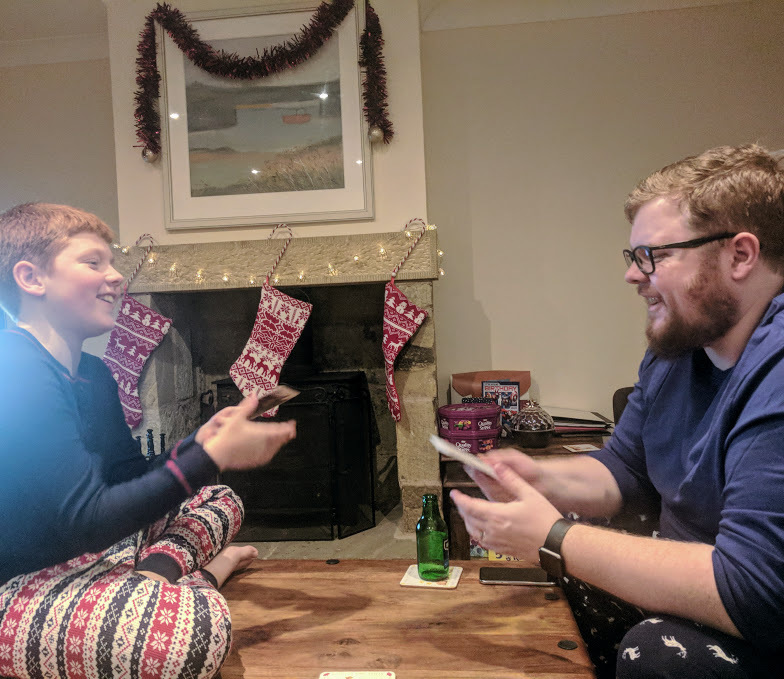 Christmas Eve afternoon was spent in our new Christmas PJs playing Top Trumps, watching more movies and more reading. Heidi isn't a big reader so it was lovely to see her snuggle up on the sofa with a book out of choice too. 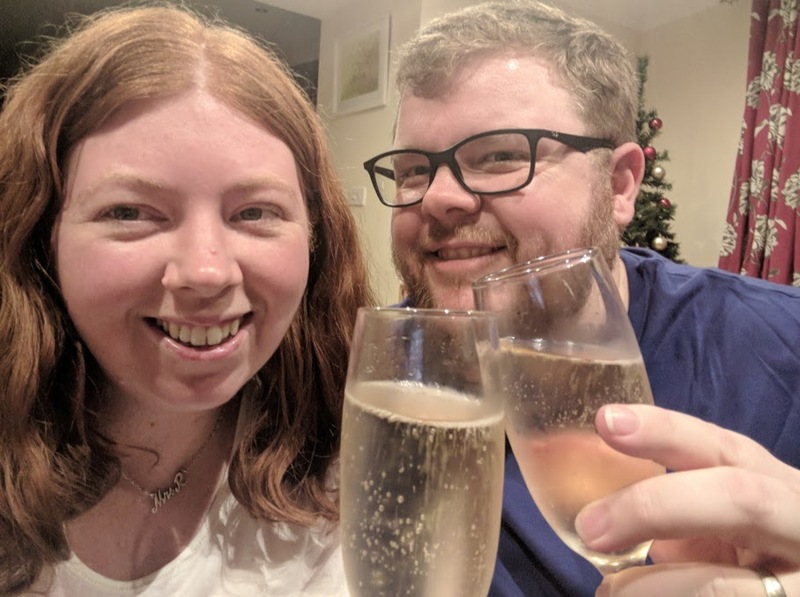 I planned a little bit of a party for us on Christmas Eve night and as darkness fell, we cracked open a bottle of Champagne (Shloer for the kids), put the disco lights on outside (I'd brought our own from B&M Bargains) and put some Christmas tunes on our bluetooth speaker. 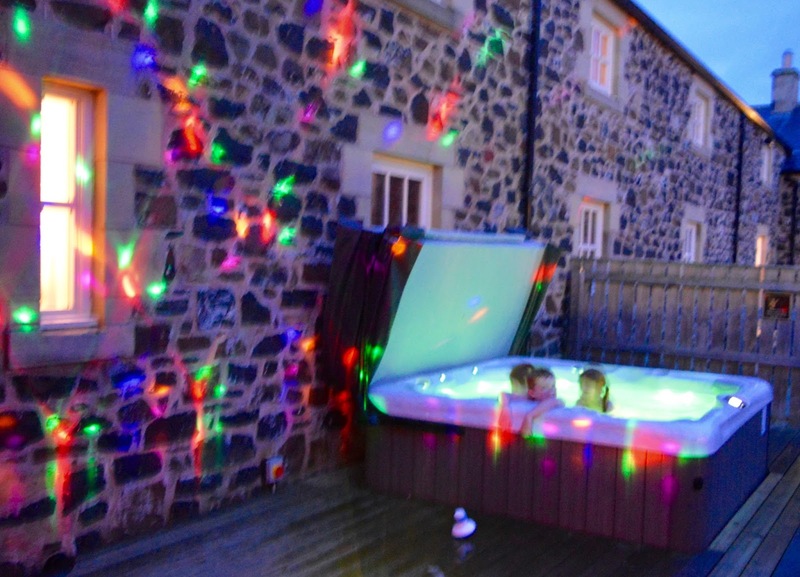 A hot tub party on Christmas Eve was SO much fun and if you're looking to book a cottage over Christmas, I'd definitely try and book one with a hot tub. Plenty of towels and fluffy bathrobes were supplied for us which meant stepping out into the cold after a dip didn't feel so bad. I don't want to paint a picture that everything was perfect during our stay because it wasn't - normal family life didn't stop and the monopoly board was tipped over twice, there were the usual meltdowns and fighting that comes with having three kids close together in age and we still argued over what to watch on tv. Sadly a change in location does not equal a change in behaviour but that's just what happens with kids isn't it? 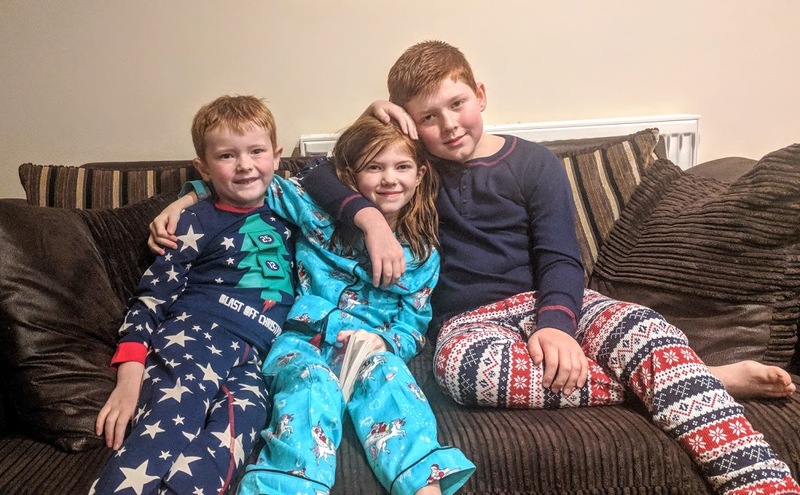 The highlights of our stay far outweigh any squabbling though and although it may be in my head, I think the lack of YouTube and X Box really helped to relax the kids too. There was WiFi in the cottage that they could have connected to but they didn't feel the need to do this at any point. Harry even commented a few times that he'd really enjoyed the time together which made me feel all warm and fuzzy inside as it's not the kind of thing he'd normally come out with. 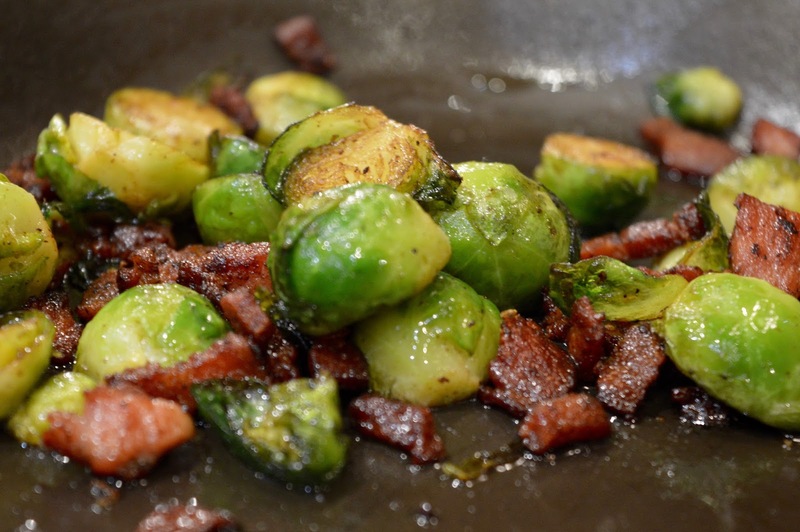 Steve had been slow cooking a shoulder of lamb all day and this formed the centrepiece of our Christmas Eve feast. 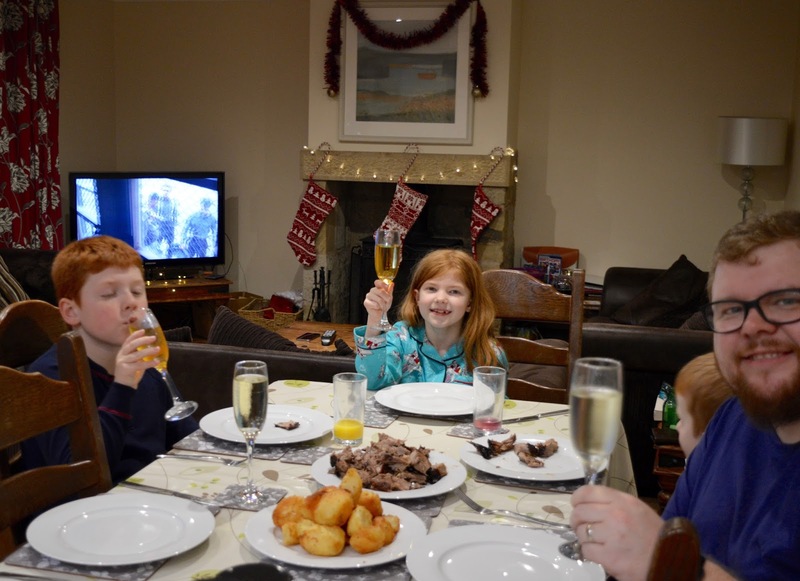 It was so good and lovely to sit around the table like this together before tucking the kids up in bed. 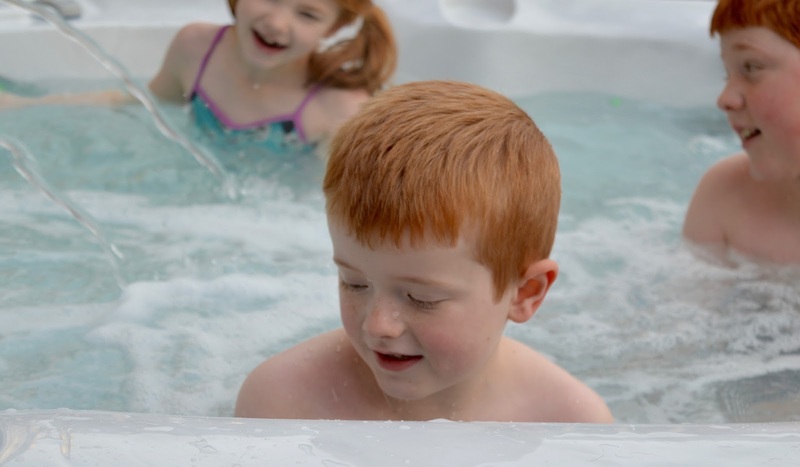 Once the kids were tucked up in bed upstairs, Steve and I couldn't resist getting back in the hot tub - those moments of peace and silence were definitely savoured after our mini party. Christmas Eve under the stars was just the best - I even found myself trying to spot Santa in the sky! H, H and J are super fond of lazy mornings and this doesn't change on Christmas Day. 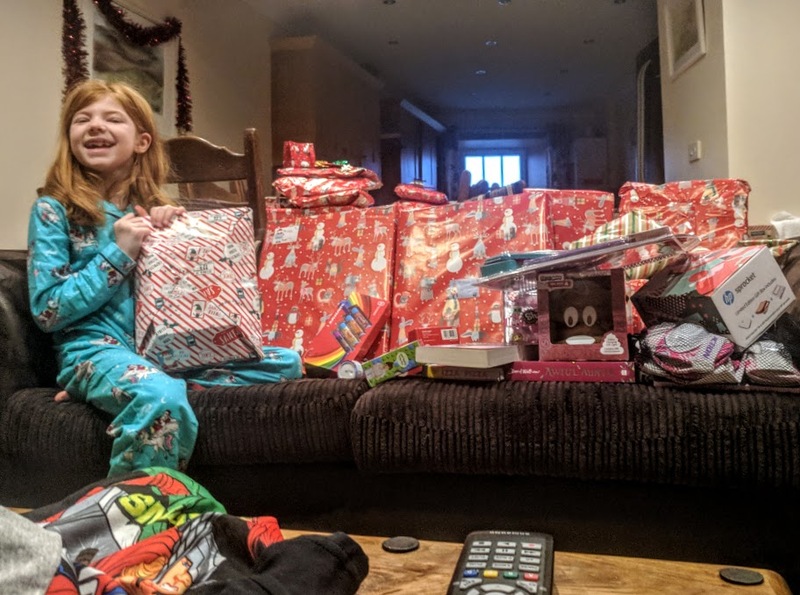 They ran into our bedroom at around 9am to share with us the contents of their stockings. 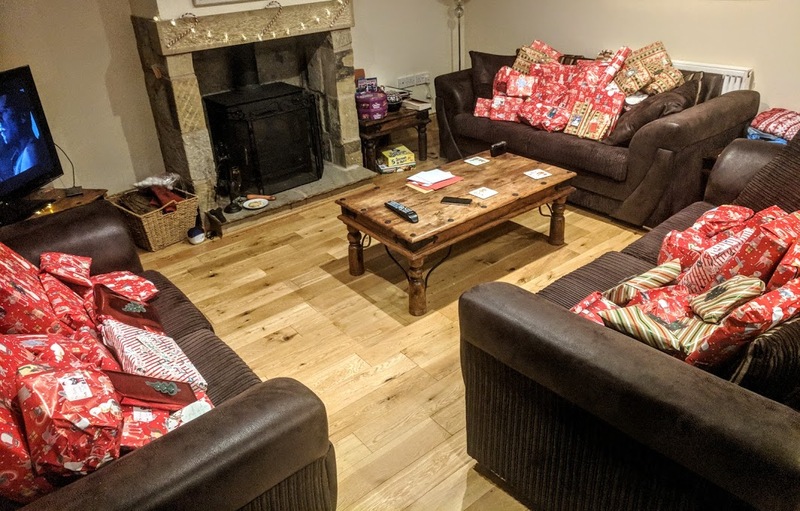 We opened the door into the main living area and were delighted to see that Father Christmas had not forgotten we were staying in a cottage this year. 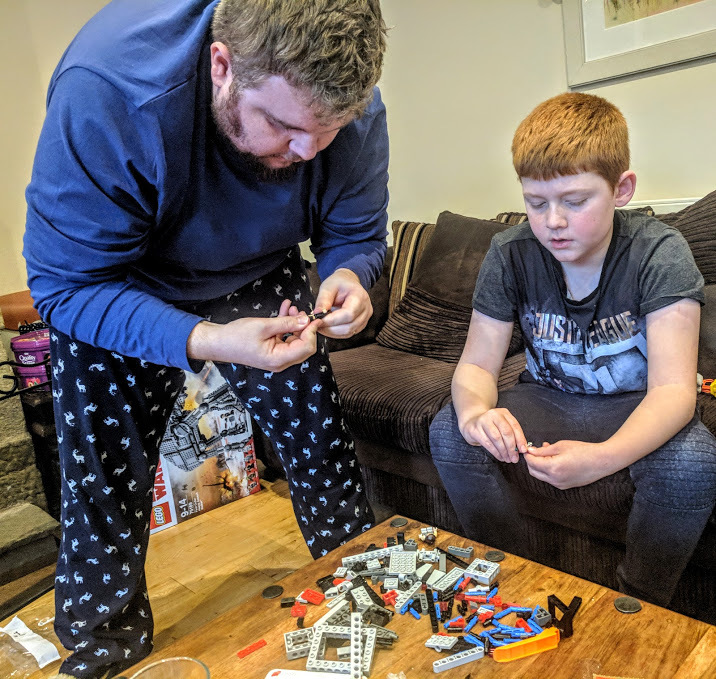 Everyone was over the moon with their gifts and we spent the best day in our PJs building Lego, drinking bucks fizz (us not the kids) and eating chocolate. This is the first time ever that we've not had to get dressed and be somewhere on Christmas Day and it really suited us perfectly. It was a slow, relaxing day and just what I wanted. 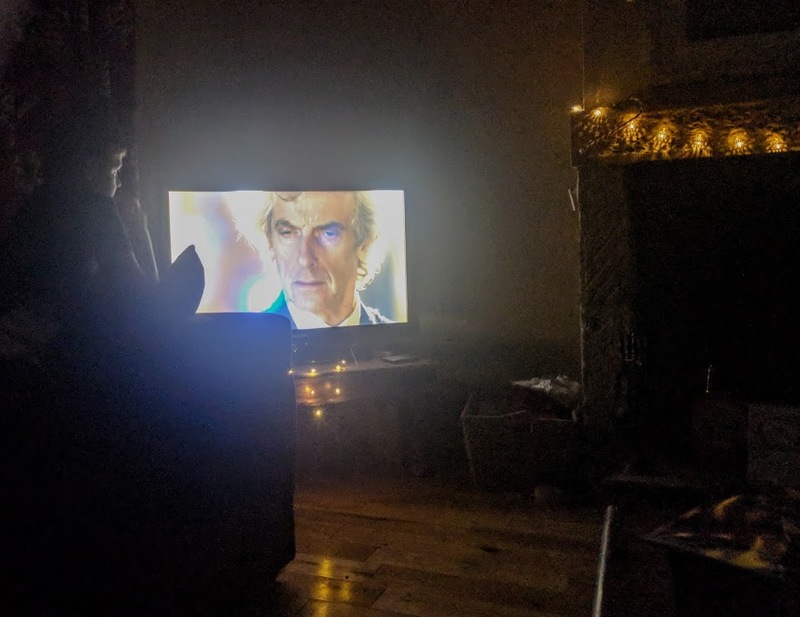 In the evening we watched Doctor Who together and for the first time ever I watched It's A Wonderful Life - what a beautiful film. Steve had been nagging me to watch it for years and I'm so pleased I finally got around to it. 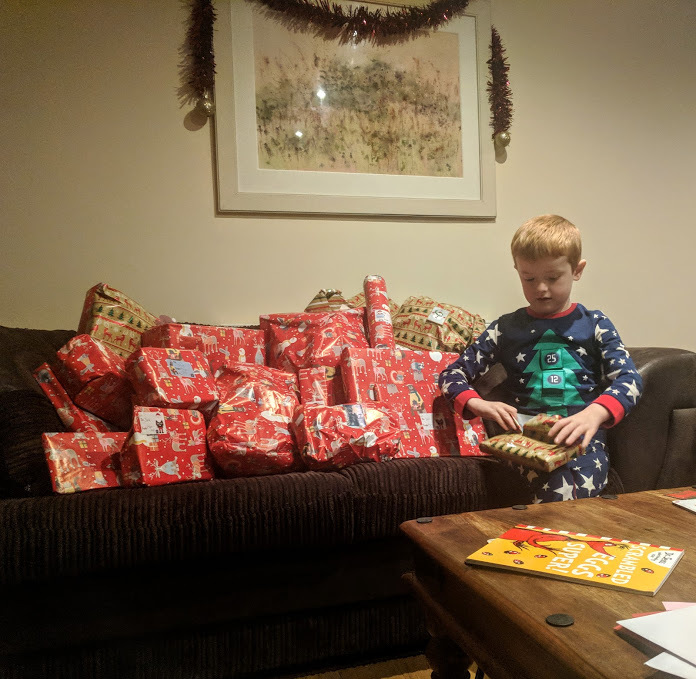 I had a little festive tear in my eye at the end! 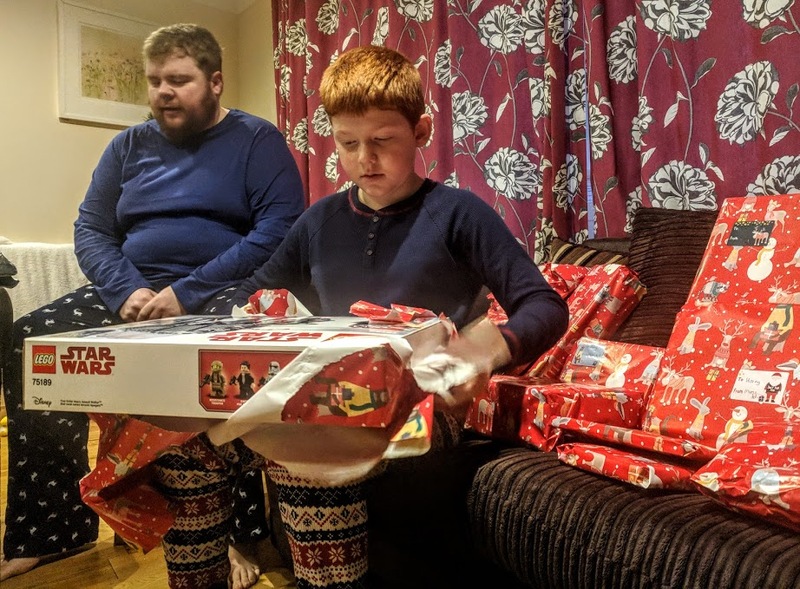 Food wise, I realy didn't want to force the kids to eat a Christmas Dinner if they didn't want to and I also didn't want Steve to be stuck in the kitchen all day. 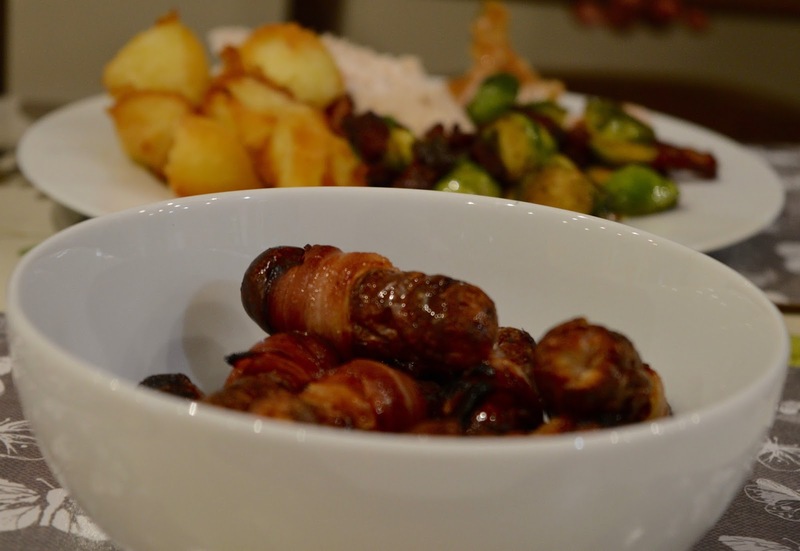 So we kept it simple with a turkey crown, pigs in blankets, homemade roasties and sprouts plus party food. We dipped in and out all day and it suited us perfectly. It was my family's turn to visit on Boxing Day and we kicked off the celebrations with *another* epic buffet. 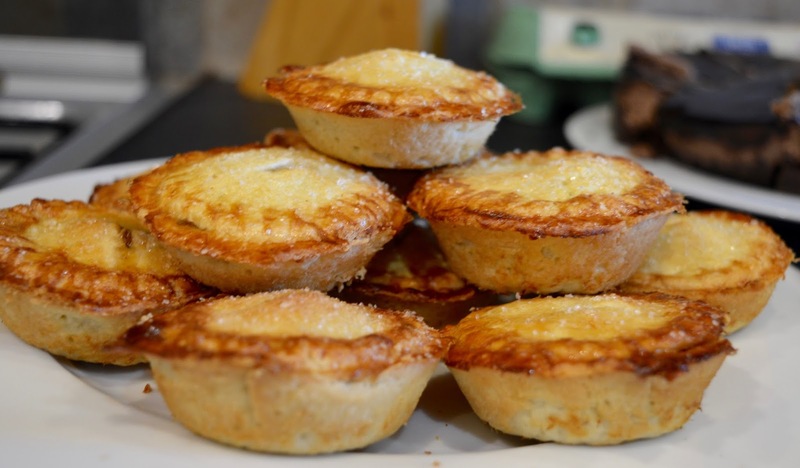 This time I have to say that Steve's homemade mince pies and a Spanish Ham I'd picked up from Aldi were the main attraction. Our kitchen was very well equipped and had everything we needed to cook various feasts over the week. There's a dishwasher too which certainly came in handy. 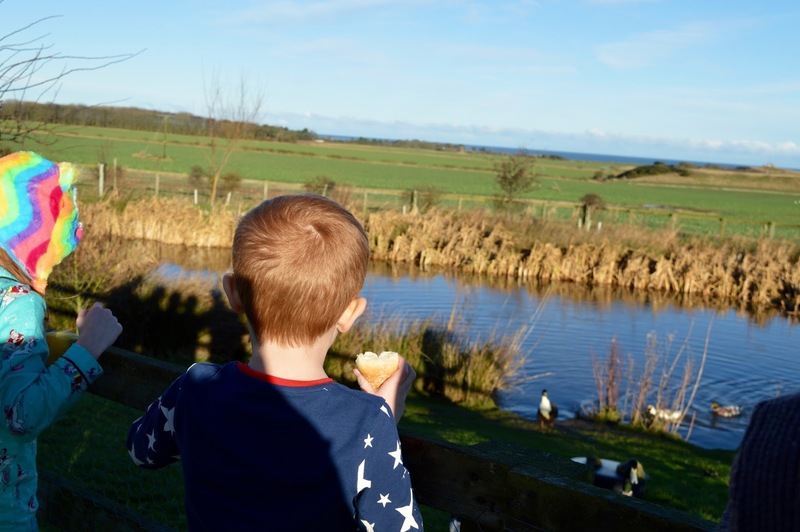 We fed the ducks with some of the younger members of the family which was just delightful - the ducks really are the friendliest ducks you'll meet! 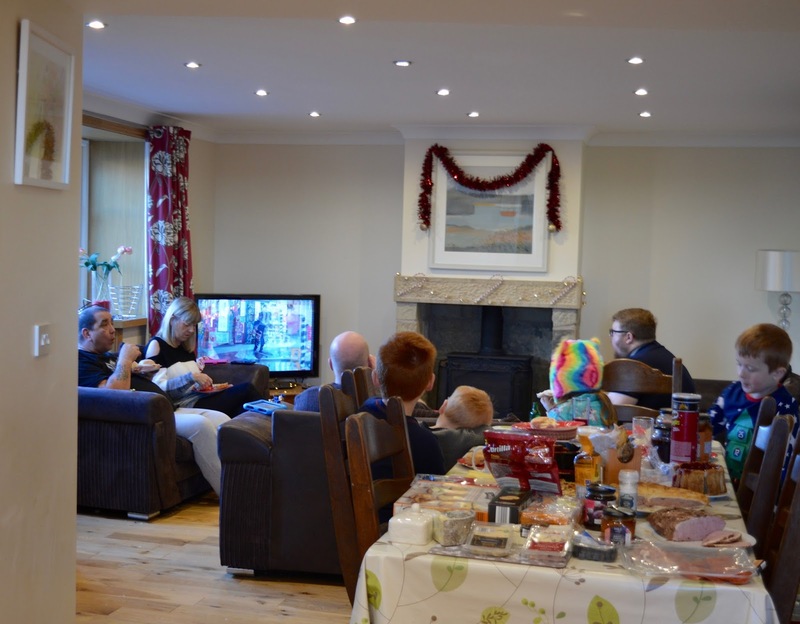 Then we spent the afternoon playing more games, watching more TV and enjoying a few festive tipples for the grown-ups. Some of the family had been added onto our booking and were able to spend the night too which was fab. Once the kids were in bed we spent some proper grown-up time drinking festive spirits and watching Christmas tv. Something I don't normally get to do with my family as we're usually at home with the kids. Sadly the 27th was our check out day. 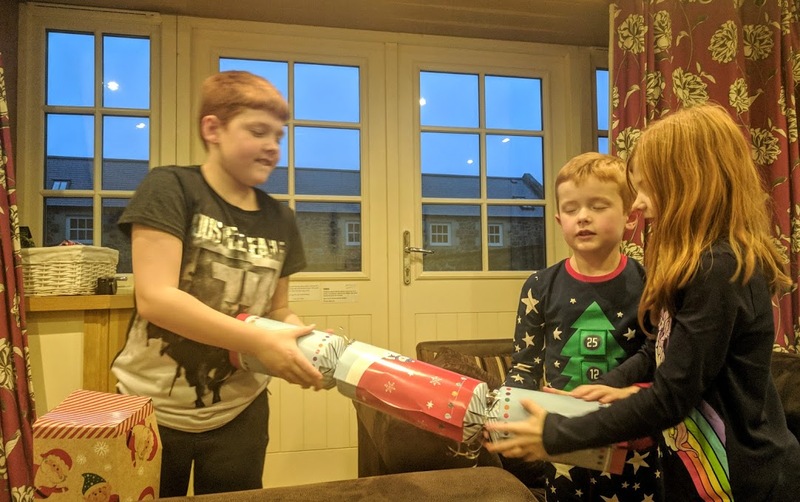 We stayed for 5 nights which was just right for us - I think this was the perfect length of time to feel like we'd escaped from the real world and focus on a proper family Christmas together. 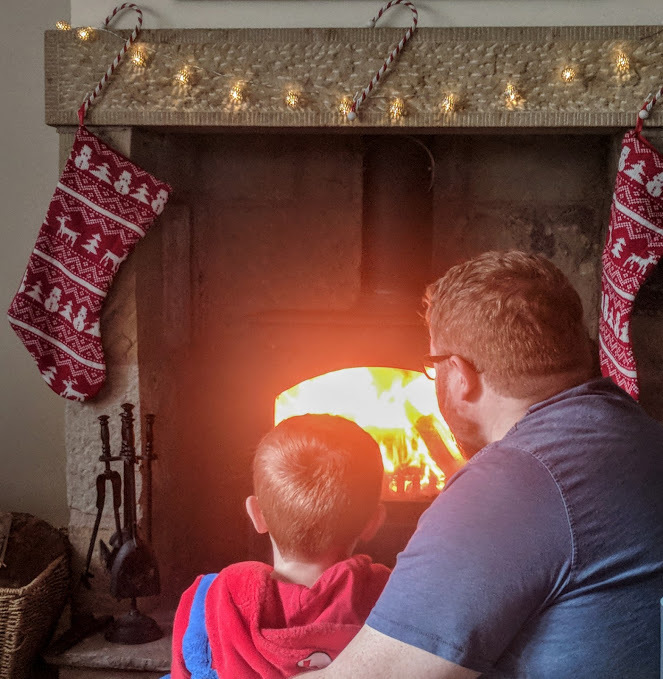 Christmas in a Cottage was everything we wanted it to be and more. We had the best time together relaxing in a hot tub, reading by the fire, playing games, watching countless films together and eating our way through so much delicious food. If you're looking for a relaxing family Christmas, I highly recommend you try booking somewhere like this. On reflection I don't think it's something we could do every year - I think now we've experienced it, we're going to book somewhere every 2-3 years as I don't think it's fair to escape everyone every single year and I do feel a little sad that we didn't see our grandparents over Christmas because we were away. We'll catch up with them soon though so it isn't the end of the world. Plus I want Christmas in a Cottage to remain a treat and not something that just becomes the norm for us. 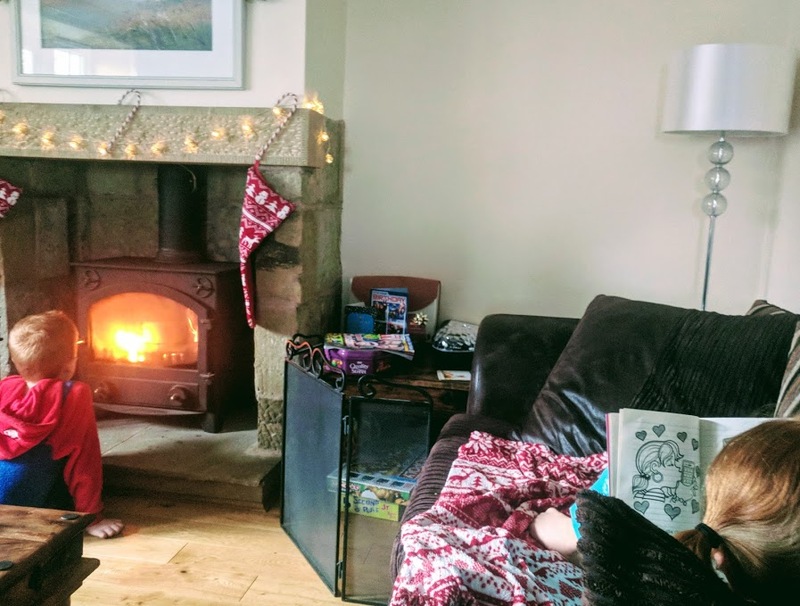 Christmas in a Cottage also isn't cheap - our stay was over £1000 but there are more purse friendly options available if you don't need somewhere quite so big or if you book somewhere without a hot tub. 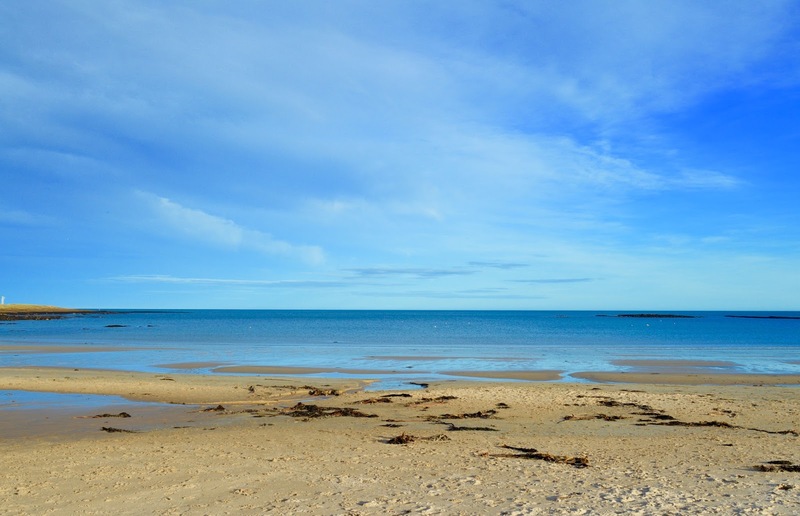 There's plenty to do in the area had we wished to extend our stay with the gorgeous villages of Seahouses, Beadnell and Craster all a short drive away as well as the fantastic attractions of Alnwick and Bamburgh and Dunstanburgh Castle. 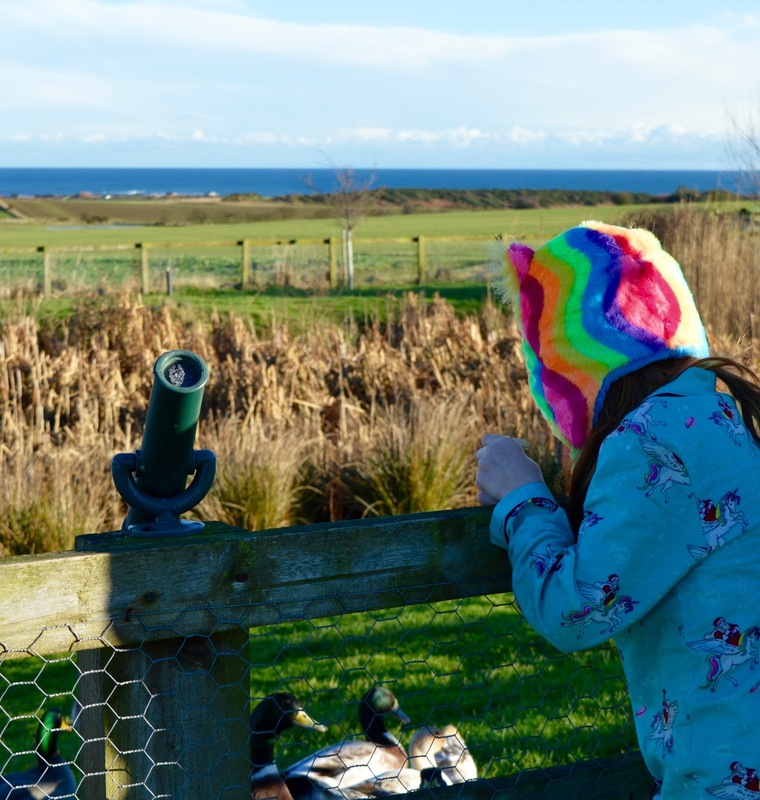 Our stay wasn't about exploring the area this time (we already know it well - lol) but worth pointing out that there is a lot to if you're a keen explorer. High Hemmel House sleeps 8 but can be booked alongside other properties on the same complex to sleep up to 41 people. 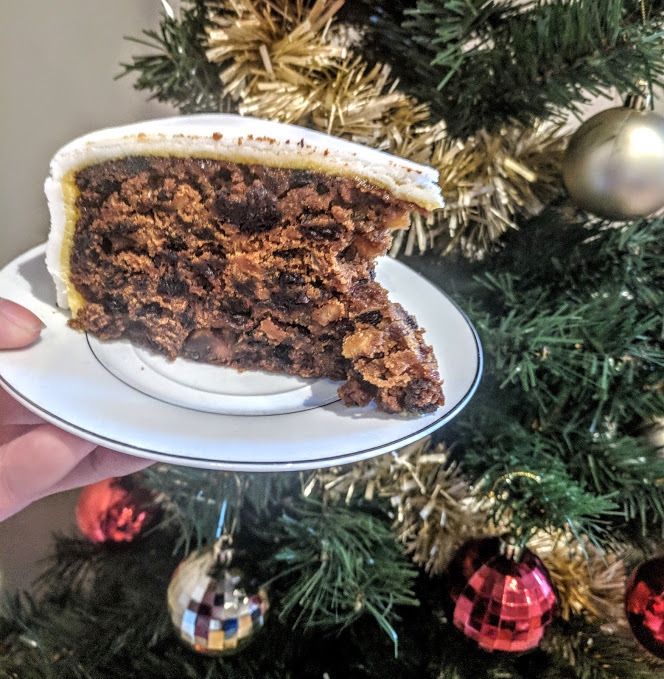 Perfect for a big family Christmas! You can already book for stays up to 2019 - ideal if you need to save for your dream cottage stay or like to get ahead and plan like I do. Find out more here. 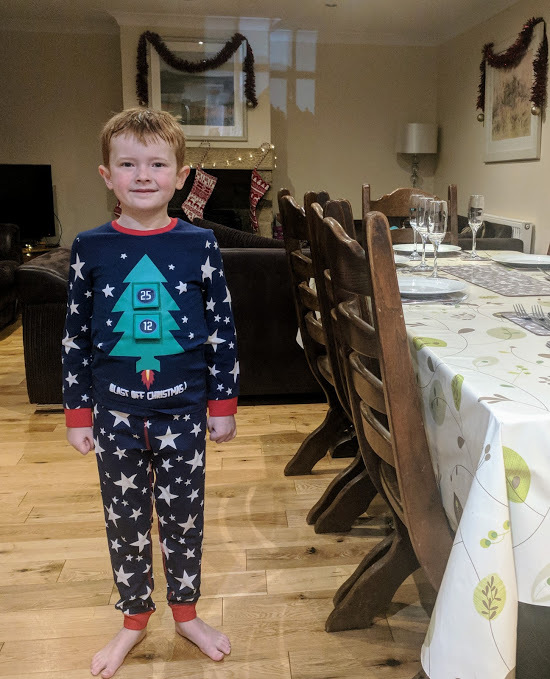 I'll be posting a video from our stay and a post featuring lots of top tips for staying in a cottage over Christmas in the New Year. Keep your eyes peeled for those! 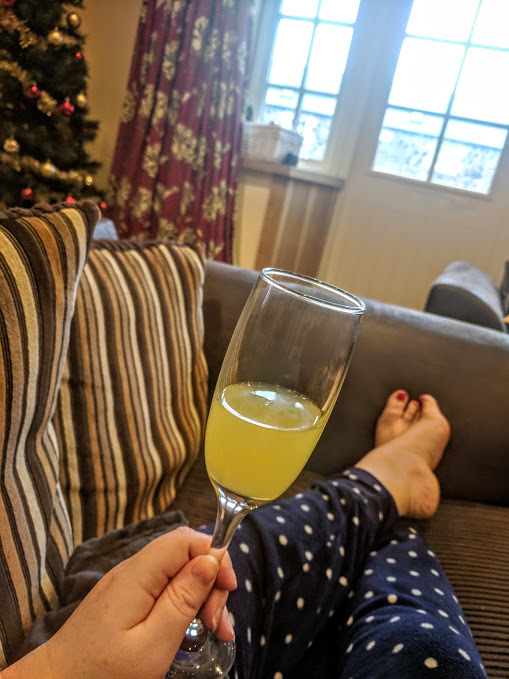 I'd love to hear if you've ever stayed in a cottage over Christmas and how you found the experience. Have I inspired you to give it a try?